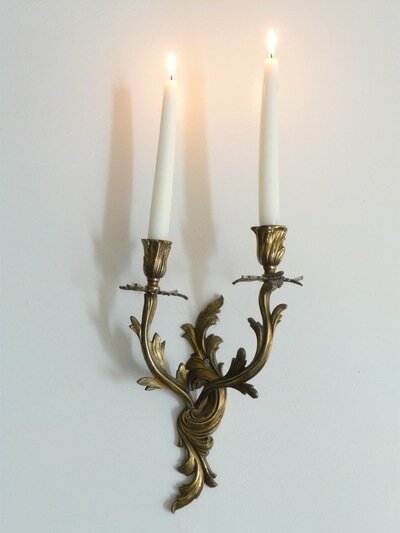 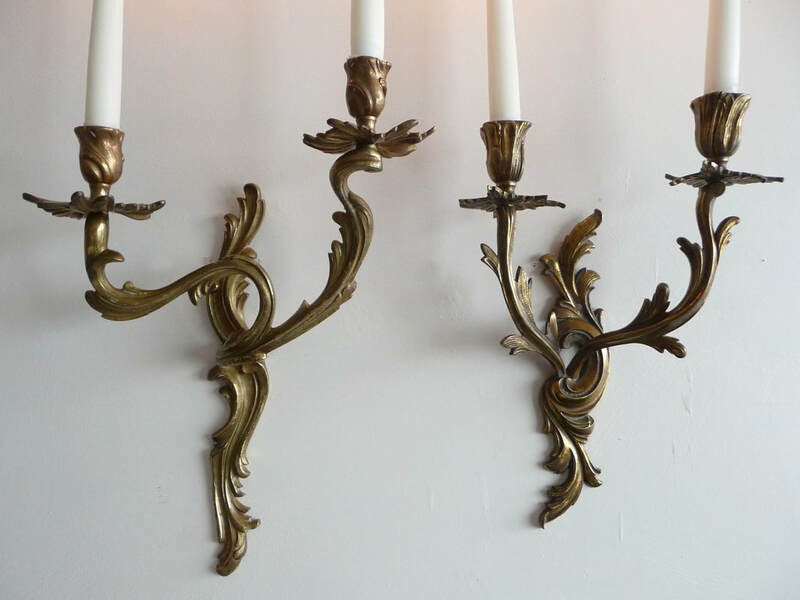 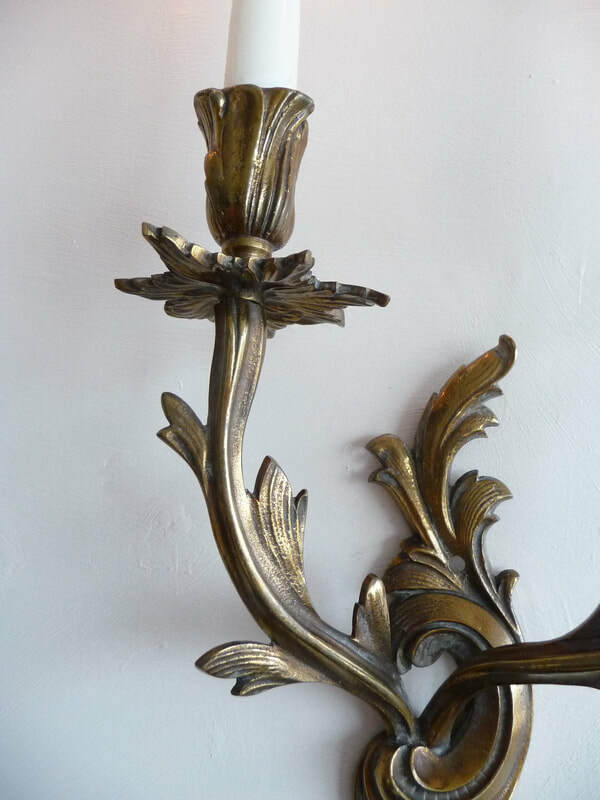 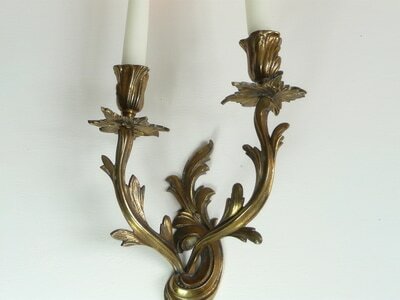 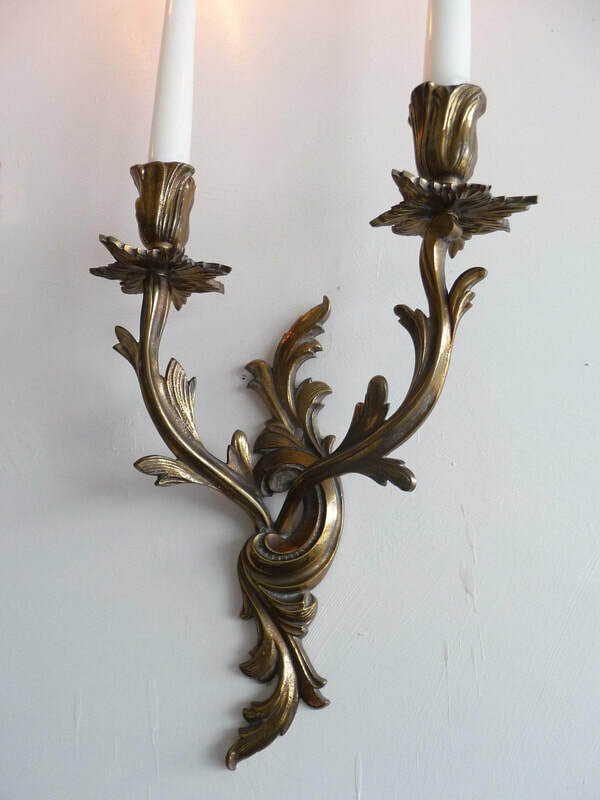 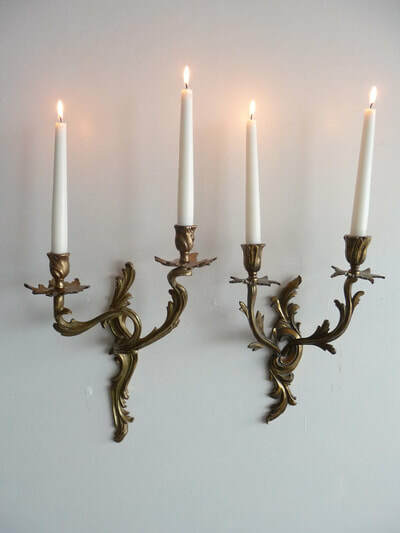 An elegant pair of non-identical antique French candle sconces. In the Louis XV style, these date from the early 1900s and are typical of the 'rocaille' style which was based on floral motifs with hints of the seashore. 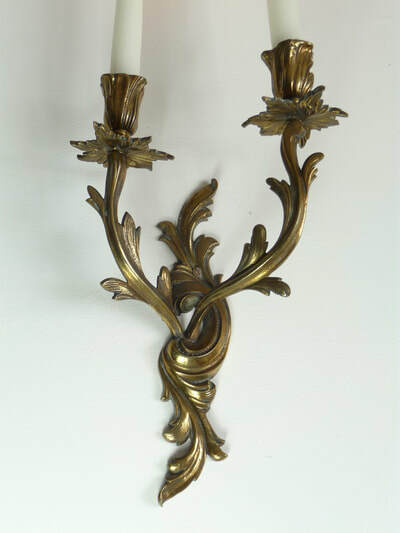 One sconce is slighthly larger than the other but other than that they are very similar. 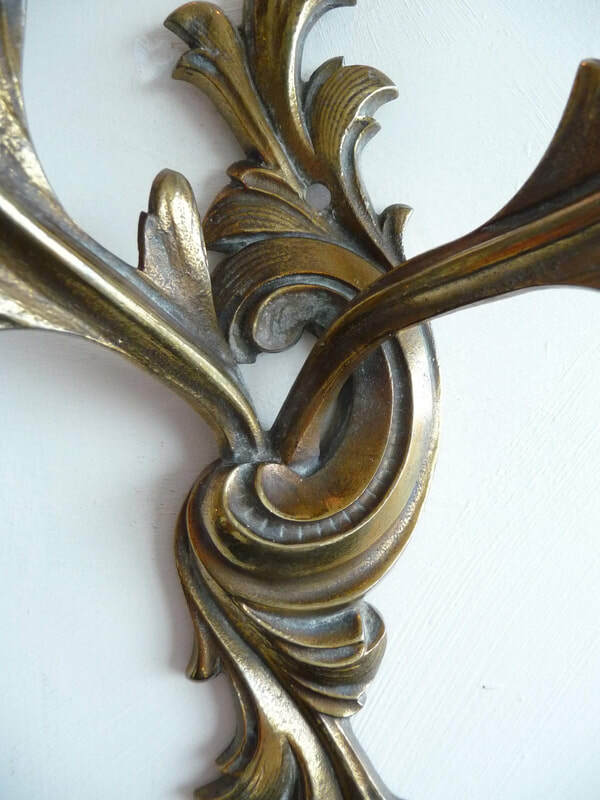 Both are quality pieces, made of beautifully aged heavy bronze. With delicate scrollwork and detailing, these look fabulously dramatic both lit and unlit.